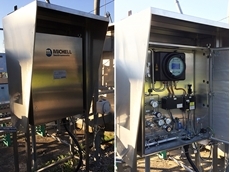 The moisture analyser was evaluated over a period of six months at an underground natural gas storage facility near Milan. A convincing feature of the THOMMEN HM28 handheld pressure gauge is its versatility. 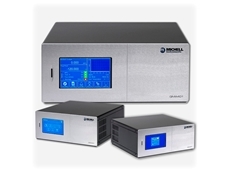 Functions are available for leak rate, minimum/ maximum values and for storing the measured values in the display. The measured values can be stored in the integrated data memory with the data logging function and from there, logged directly on a connected printer (without PC) via the RS232 interface. A PC-software level Windows is also available. 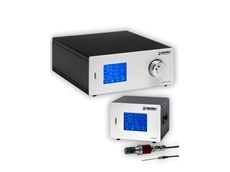 Measuring media: instrument air, inert gases. All media, which are compatible with stainless steel 18/8 (DIN 1.4305). 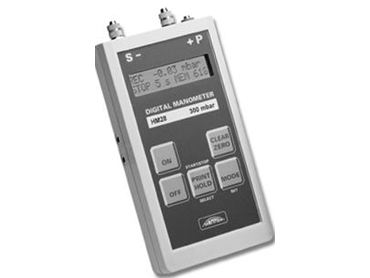 Humidity: 30 to 95 % r.H.
THOMMEN digital handheld pressure gauges HM28 are available from AMS . I have a HM 28 gauge and would like a new one. How much does a new HM 28 gauge? 12/12/2013 - We are Thommen distributor for the Australian market and thus unable to quote to customer outside of Australia.